with the sterile, shelter-like vibe? 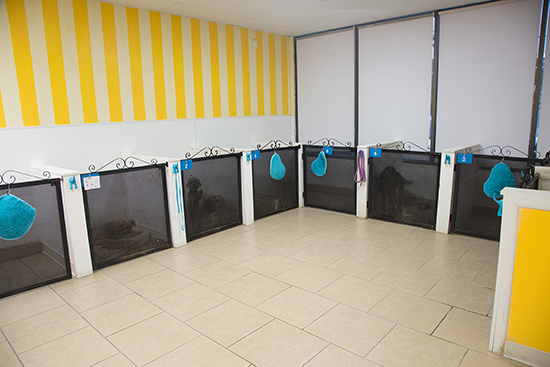 After successful completion of temperament testing, your pup will also be included in our playdates at no additional cost. First and foremost, take a tour. Pay attention to how you feel and the overall temperament of the other animals there. On the whole, do they look happy? Stressed? Bored? What will the daily schedule be like for your pet? Is this a schedule that fits your pet’s personality and needs? Many facilities offer different levels of activity. Where will your pet sleep? Is it secure (i.e. enclosed so your pet can relax)? How do they accommodate requests such as special diets, medication, etc.? Ask for references of other clients. Trust your gut: if it doesn’t feel right, it likely isn’t right. Drop off and pickup are available during regular shop hours. We are open 6 days a week, Mon-Sat. Pickup is available until 5:30 p.m.
Sunday evening pickup / drop off may be pre-arranged. Packages and discounts are available for longer stays. We are experienced in administering medications to your pet. This is a part of our standard of care and is included at not additional cost to you. Your pet will enjoy romping during daytime playdates, ensuring a tired (and happy!) stay. 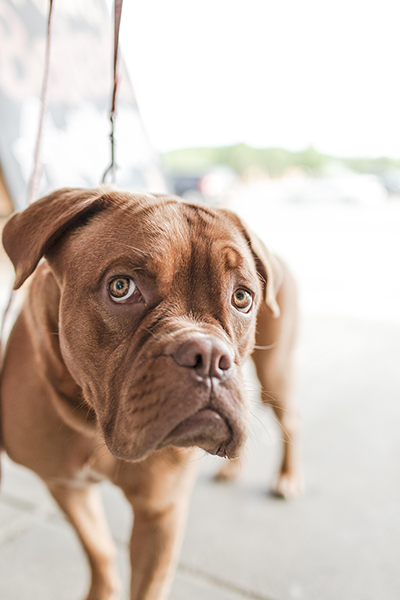 By bringing food from home, your pet will have a reduced likelihood of any GI upset from new foods. Our Tail Waggers provide exceptional care and can manage a medical emergency should one arise. You won’t have to worry about the welfare of your animals (nor the anxious destruction of your home!) while you are away.